MINNEAPOLIS & REHOVOT, Israel--(BUSINESS WIRE)--Nov. 14, 2018-- For the past decade, Stratasys (Nasdaq: SSYS) has continued to pioneer development of unique cloud-enabled tools and subscription services for its production series 3D printers – across a select group of part providers via the Stratasys Global Manufacturing Network (GMN). Today at formnext 2018, the company announced the program’s expansion in Italy, Korea, Mexico, and the United States – as well as addition of its market-leading Aircraft Interiors Certification Solution (AICS) to select members. “When we first launched the Global Manufacturing Network in 2003, our focus was software development and printer connectivity – building digital performance management efficiencies, global visibility and consistency for disparate factories delivering parts to customers around the world. Recognizing the power of our technology to reshore manufacturing across local economies and reduce carbon footprints, we’ve continued to grow this partner ecosystem while consistently proving the value,” said Jeff Hanson, Director, Global Manufacturing Network at Stratasys. Stratasys’ GMN is now expanding with the addition of Tecnologia & Design in Italy, Prometheus in Korea, Tridi in Mexico and FATHOM in the US. These new members join such existing partners as: Objective 3D in Australia, TEILEFABRIK in Germany, MCAE in Czech Republic, +90 in Turkey, along with Xometry, R&D Technologies, and In’tech Industries in the US. As demand for in-flight parts among customers across the aerospace industry continues to grow, the Stratasys Aircraft Interiors Certification Solution is now available for select members. Members of the Global Manufacturing Network are enabled by networked assets and backed by the capacity and expertise of Stratasys Direct Manufacturing – a leading service provider in North America. 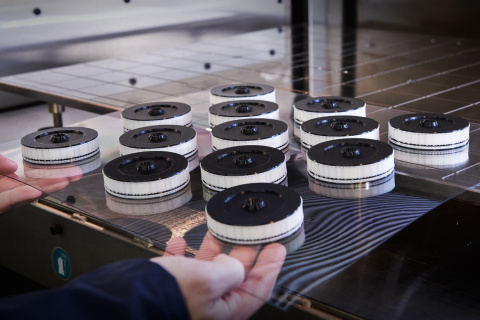 With access to virtually unlimited and comprehensive additive technologies and services, members can better scale their business and serve large orders on-demand. GMN currently spans four continents as the largest globally connected network of 3D printing service providers, many with ISO 9001, AS9100, ISO 13485 and ITAR registered. In addition to this expanded membership, Stratasys plans to extend its connected system solutions to select 3D Parts Providers in 2019. For more information on the Stratasys Global Manufacturing Network, contact Melissa Aldape at Melissa.aldape@stratasys.com. Stratasys is a global leader in additive manufacturing or 3D printing technology, and is the manufacturer of FDM® and PolyJet™ 3D Printers. The company’s technologies are used to create prototypes, manufacturing tools, and production parts for industries, including aerospace, automotive, healthcare, consumer products and education. For 30 years, Stratasys products have helped manufacturers reduce product-development time, cost, and time-to-market, as well as reduce or eliminate tooling costs and improve product quality. The Stratasys 3D printing ecosystem of solutions and expertise includes: 3D printers, materials, software, expert services, and on-demand parts production. Online at: www.stratasys.com, http://blog.stratasys.com and LinkedIn. Stratasys is a registered trademark and the Stratasys signet is a trademark of Stratasys Ltd. and/or its subsidiaries or affiliates. All other trademarks are the property of their respective owners.